We've picked a few of our favourite places to stay, which the younger members of your family will love! The Old Post Office reflects it's past as a former village shop and post office and the nearby Norfolk Broads. There is a small children's room set up as a shop and toy post office, so there's plenty to keep little ones entertained! The room features scales, till, pretend money and shopping trolley, with Postman Pat featuring in this room, along with DVDs books and games. 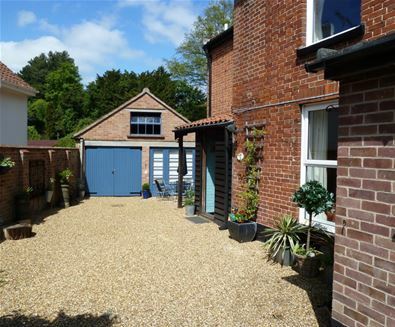 The property features 3 bedrooms, sleeping 6. 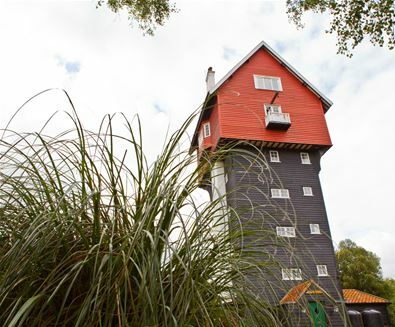 The House in the Clouds in Thorpeness is one of the country's most famous follies and children will love exploring this unique property, taking in the views from the 'Room at the Top'. 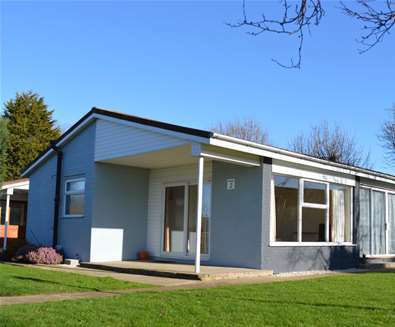 Set in 1 acre of private grounds, the whole family can join in the fun playing lawn tennis, table tennis and boules. The House in the Clouds features 5 bedrooms; 2 doubles and 3 twin rooms. 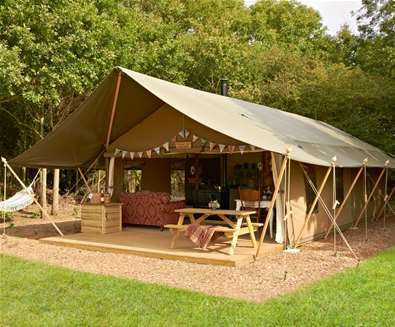 Children will love bedding down for the night in a Gypsy Caravan, Shepherd's Hut, Hobbit Box or Luxury Lodge Tent at Secret Meadows. Set in a 115-acre wildlife site, there's plenty of room for young explorers to run around. During your stay you can also hire a wood-fired hot tub, hammock or hen coop or book on to one of the bush craft workshops! 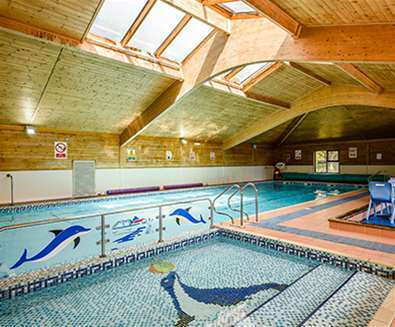 Broadlands Park and Marina is a family-friendly park with a range of facilities including indoor heated pool, sauna, a gym and fitness centre, bar and restaurant, outdoor childrens play area and Marina. The park is situated on the banks of the Broads National Park at Oulton Broad; where you will find an Edwardian park with children's play area, tennis courts and amusements, cafes and restaurants and boat trips. 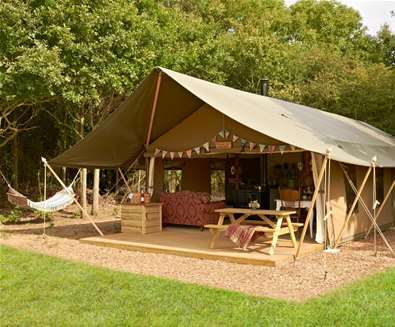 Get back to nature with a stay at Boundary Farm Glamping where children can roam the meadow as cars are kept off site. 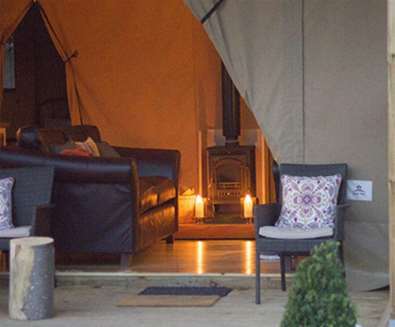 The safari tents have their very own shower and toilet facilities, wood burner, fully equipped kitchen, fire pit, bbq and cozy bedding - perfect for a family getaway. 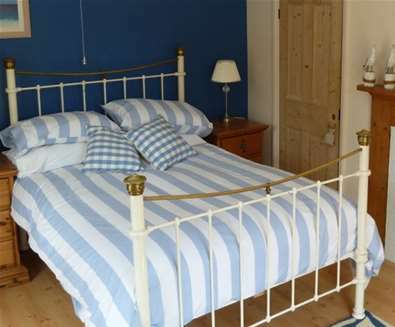 The site is a short drive from the coastal villages of Aldeburgh, Thorpeness, Walberswick and Southwold where you can enjoy the beaches, or maybe a spot of crabbing! 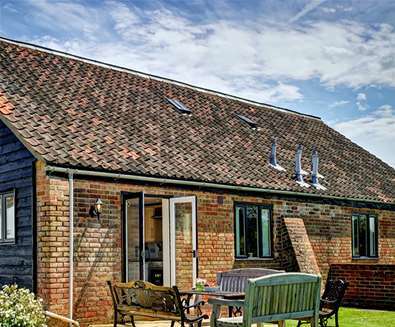 Ideal for a family get together or celebration, East Green Farm Cottages sleep 28 across 5 properties, plus there's a party barn to hold your get together! During the summer, make use of the heated outdoor swimming pool plus tennis courts and play area which are open year round. 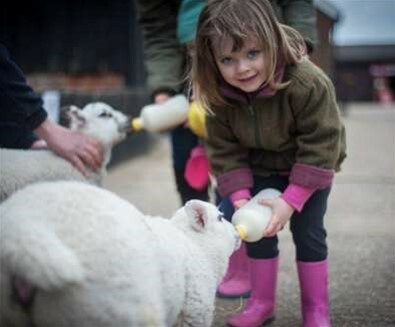 What better way to keep children entertained whilst on holiday than to stay on a working farm at Easton Farm Park Cottages. 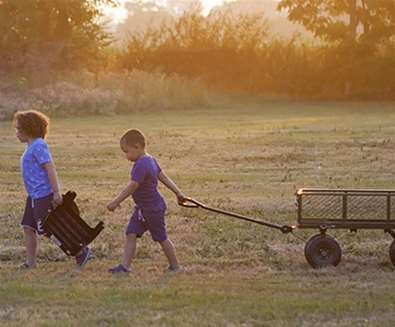 Children will love waking up and heading out to help feed the animals on the farm. 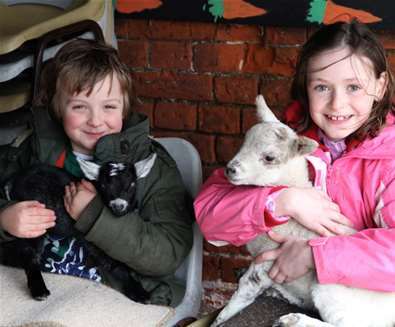 The Farm Park is open from 10:30am (check opening dates) with two indoor playbarns, tractor rides, pony rides and meet the animal experiences. 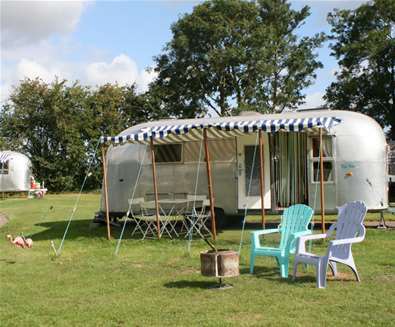 Enjoy a slice of vintage Americana at Happy Days Retro Vacations, situated in the Suffolk countryside a few miles away from Saxmundham. 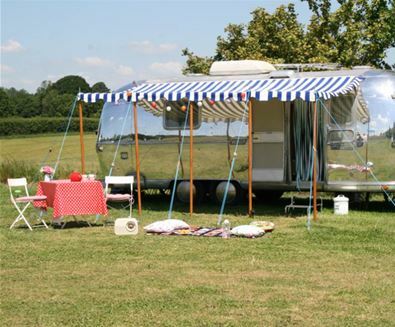 At this small campsite guests can live out their dreams of old Hollywood glamour by renting a beautifully restored Airstream trailer; choose from Betsy, Dee Dee, Annie, Gloria, Nettie or Peggy - all vintage airstream trailers sleeping 4 or 5 so are ideal for families. On-site there's a fabulous play areas with swings, slide, a giant trampoline and a 1950s French army truck to explore! Firepits are provided, so the whole family can enjoy an evening toasting marshmallows on the fire.